Jean-Claude Bourdon founded DIETSWELL in January 2000. He has over thirty years of experience in the drilling industry. Bourdon started his career in 1979 with SCHLUMBERGER working in Iraq, Indonesia, the UAE, Saudi Arabia and Libya. He later joined FORASOL-FORAMER where he became General Manager of their drilling subsidiary in Gabon. Prior to establishing DIETSWELL Bourdon was CEO of HORWELL, a well engineering company focused on the then-innovative horizontal and slim hole drilling techniques. 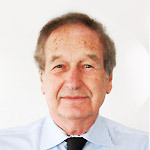 Dominique Michel has over 40 years of experience in the offshore O&G industry. Prior to joining DIETSWELL in 2007 Dominique served as Chairman and CEO of DORIS Engineering, where he developed the company’s portfolio of expertise in deep offshore and sub-sea technologies and applications. He recently served as President of the GEP (French Council for Petroleum Companies) and is a prominent member of its CITEPH program, which finances O&G research and innovation in the field of E&P services. He was awarded the Emile Girardeau Scientific Prize by the French Marine Academy in 2002, and is also a recipient of the French Legion of Honor. Since joining DIETSWELL, Dominique has overseen the transformation of our rig design department into a full-fledged engineering unit providing customized and turnkey offshore drilling solutions to O&G operators from Africa to Asia.